How much is Tina Thompson Worth? Tina Thompson net worth: Tina Thompson is an American professional basketball coach and former professional basketball player who has a net worth of $2 million. Tina Thompson was born in Los Angeles, California in February 1975. She was a 6'2″ small forward and power forward who played at Morningside High School and USC. Thompson was drafted #1 overall by the Houston Comets in the 1997 WNBA Draft. She played for the Comets from 1997 to 2008. During that time she also played overseas. Tina Thompson played for the Los Angeles Sparks from 2009 to 2010 and also played overseas. She played for the Seattle Storm from 2012 to 2013. During her career she was a four time WNBA champion and a nine time WNBA All-Star. Thompson was the WNBA All-Star Game MVP in 2000 and was selected to three All-WNBA First Teams. 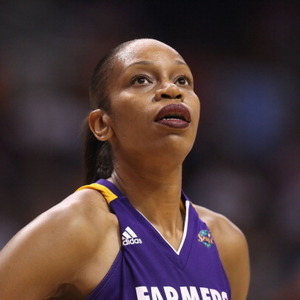 She was named one of the WNBA's Top 15 Players of the All-Time and is a member of the WNBA All-Decade Team. She also won a Russian National League, EuroLeague, and Romanian National League championship. She won two gold medals for the U.S. At the Olympics and became the head coach at Virginia in 2018. As coach of the UVA women's basketball team she earns $325,000 per year. 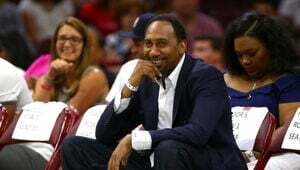 She has a 5-year contract that began in mid-2018.